Welcome to Midgley Gardenside Mortuary's home on the world wide web. We hope that the information contained on these pages will provide you with gentle guidance through the storm. We welcome your inquiries and offer you dignity and compassion. 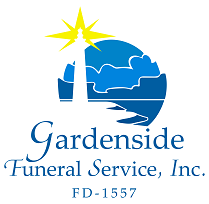 Midgley - Gardenside Mortuary was established by Glenn E. Midgley, in May of 1999 as a mortuary dedicated to compassionate, personal attention. We offer burial services beginning at $1,355.00 and cremation services beginning at $687.00 excluding cash advances and merchandise. We offer full funeral services by providing caskets, church and graveside services, cremation, and worldwide transportation of Remains, scattering of cremated Remains at sea, and full Body burial at sea. Serving all of Los Angeles, Orange, San Diego, Riverside, San Bernardino and Ventura Counties and the world with care and compassion. We offer arrangements in the comfort of your home, our office, or, if you prefer, initial arrangements can be made by phone, fax and email with easy to follow directions for electronic signature of documents. Our goal is to make this difficult time in your life as easy to get through as possible. We also provide individualized guidance that extends beyond the boundaries of the funeral services in California. We offer a comfortable, affordable and common sense alternative to the escalating costs found in traditional funeral homes, cremation and memorial societies in California, regardless of your religious beliefs, financial status, or life style. We understand your grief and respect your financial concerns. Our funeral directors help with the full range of funeral planning needs: planning the funeral service in California, consultation with family and clergy, preparation and filing of all necessary documents and notices, as well as the transportation and preparation of your loved one. Our staff can also help the family complete insurance forms, Social Security and Veterans applications and completion of other forms necessary to apply for benefits. We can also make arrangements with the cemetery and provide necessary transportation. We can provide everything from the simple to the traditional. Because convenience is so important to quality service, we are available day or night, 365 days a year. If you are suddenly faced with a death in your family, or the loss of a friend, put your trust in the people with experience, compassion and dedication. Put your trust in us.